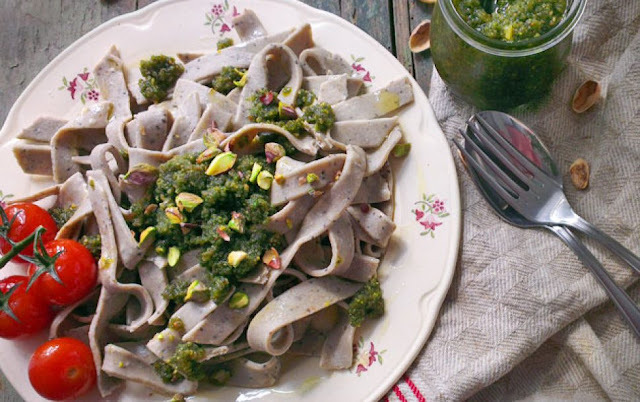 Healthy Vegan Quinoa Chia Pasta With Pistachio Pesto Recipes: Roast the pine nuts in a pan without oil golden brown. Pick parsley and basil leaves from the stalk and chop. Peel the pistachios. Puree the pistachios, pine nuts, parsley, basil, garlic, 1 tablespoon of lemon juice and half of the olive oil in a blender. Now add the remaining olive oil and season with salt, pepper, lemon juice, and a little agave syrup. 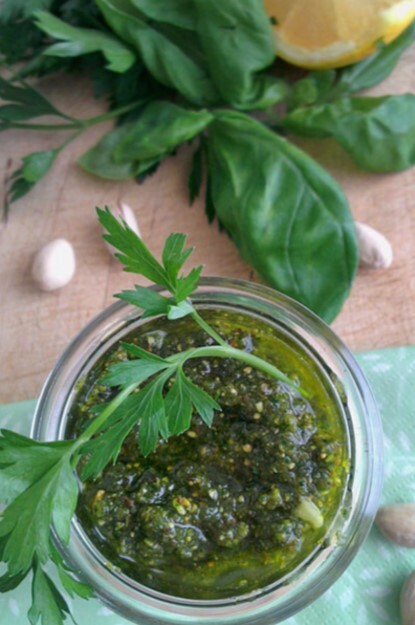 Tip: covered with olive oil, the pesto keeps in the glass for about 2 weeks. Pour the quinoa flour on a clean worktop to a small mountain and press a trough in the middle. 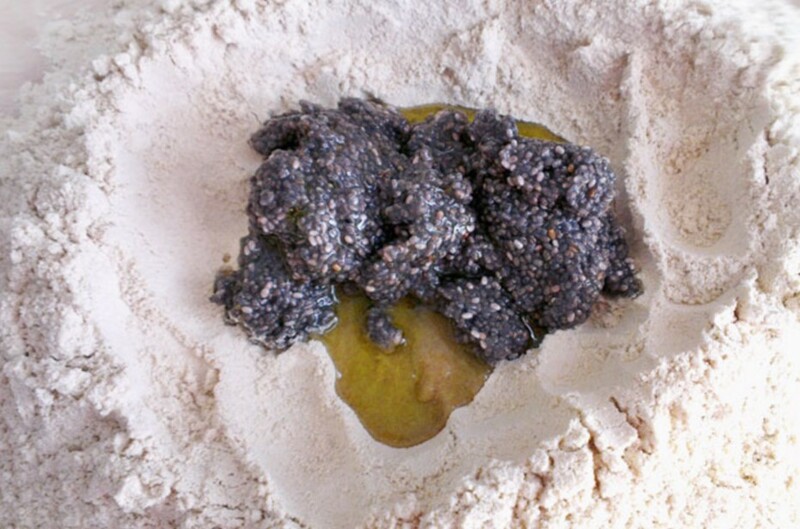 Add the chia seed and the olive oil together with some water and slowly mix the flour with the moist ingredients. Make sure that the moist ingredients do not run away. Gradually add a little more water and knead. It may seem a little bit of water at first glance, but the dough should not be too moist and sticky. If necessary, add a little more quinoa flour. 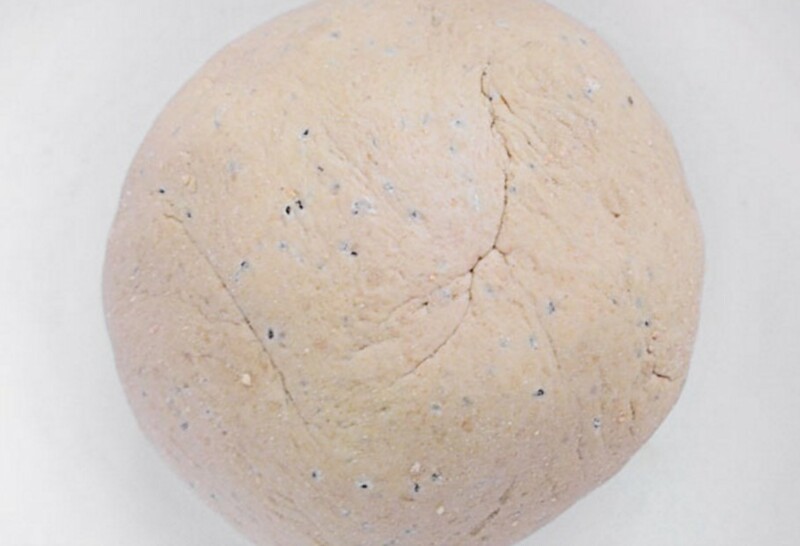 The dough should be formed into a nice ball. If it seems too friable, you can still add small amounts of water. Here, above all, the feeling for the dough is crucial. Cover the mixture for few minutes. Now dust the work surface with quinoa flour (who does not suffer from gluten intolerance, can also use a cheaper flour for it). Divide the dough in half and roll out the first half as thin as possible. 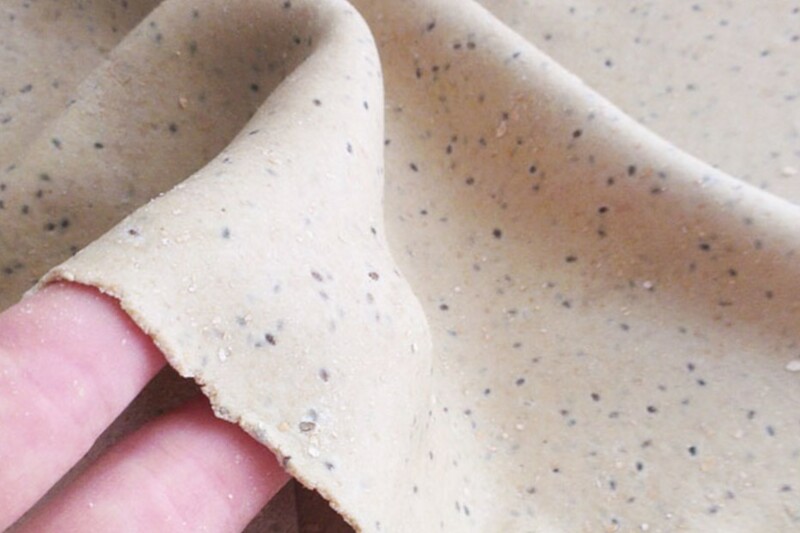 Since the dough is a bit drier, it can sometimes "fray" on the sides. If the dough is thin enough - should have about 2 mm thickness - you can cut long or short pasta from it at will. Of course, exactly the same with the second half of the dough. If you are the lucky owner of a pasta machine, you should divide the dough into quarters. Press this a little flat and crank through the pasta machine until the dough is thin enough. With the essay of choice in tagliatelle, spaghetti or similar. to cut. Cook the noodles for 3 minutes in a large pot with plenty of bubbling salt water. Arrange with pesto and tomatoes and taste. 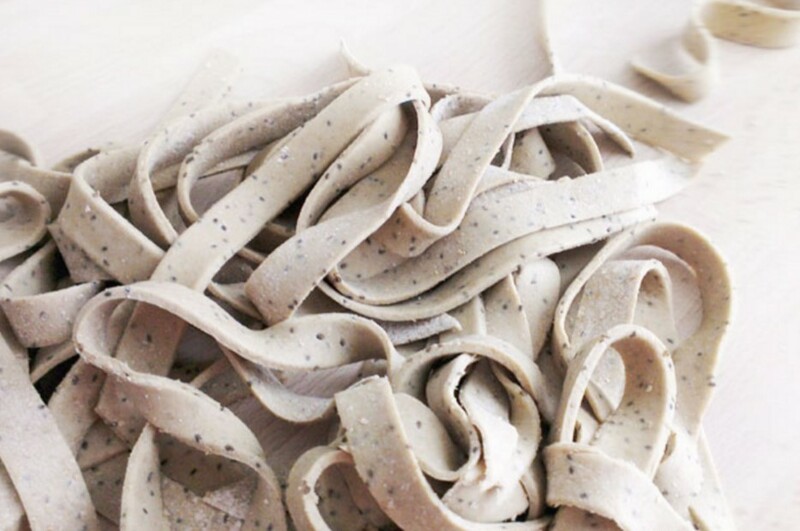 Tip: You can also freeze fresh pasta.